DAVID LE/Staff photo. 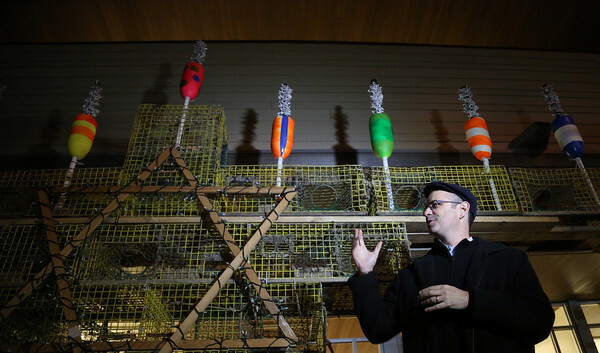 Rabbi Steven Lewis, of Temple Ahavat Achim speaks during a ceremony to light a Lobster Trap Menorah in celebration of Channukah on Tuesday evening. 12/8/15.